Agent Orange is a very good producer with extremely resinous large dense buds. The smell is amazing with hints of oranges, lemons and the smell of a whiskey sour cocktail. 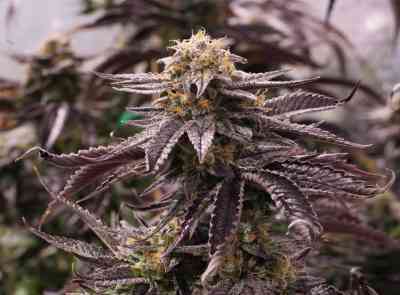 The strain contains pigments that have the ability to turn maroon and purple with cool nights. The buzz is up and motivating and will make you smile. The strain is a very heavy producer yielding large flat topped colas with very dense heavy buds. It does very well outdoors reaching over 10 feet in northern California. Indoors it can be topped and produce full canopies and heavy colas. Good for sleeping and relaxing.